Sir Arthur C. Clarke in Colombo, Sri Lanka. 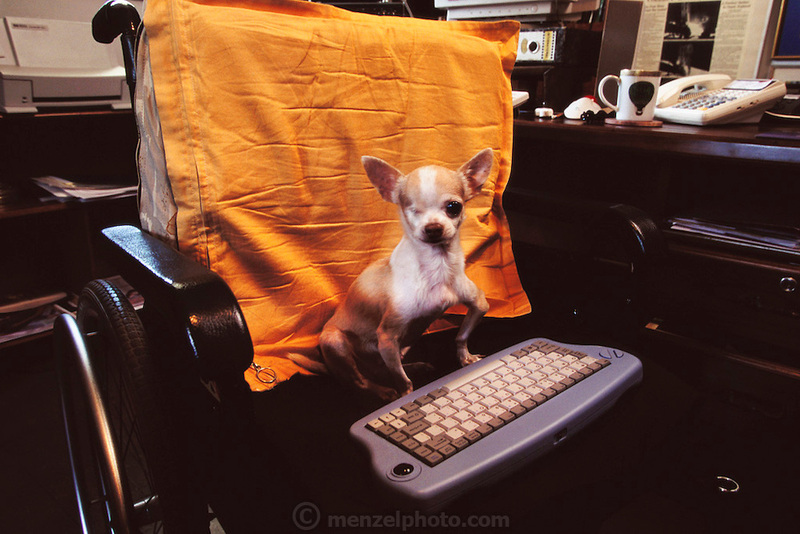 In Clarke's home office in his wheelchair, his one-eyed Chihuahua, "Pepsi" sits waiting for Clarke to return from his nap. Best known for the book 2001: A Space Odyssey.